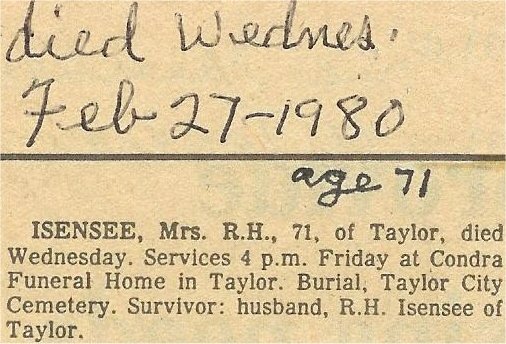 Insensee, Mrs. R.H., 71, of Taylor, died Wednesday. Services 4 p.m. Friday at Condra Funeral Home in Taylor. Burial, Taylor City Cemetery. Survivor: husband, R.H. Insensee of Taylor.